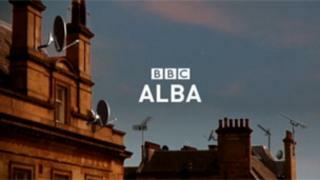 The date when Gaelic television service BBC Alba will start to broadcast on Freeview has been announced. The Gaelic channel will be on Freeview Channel 8 from 8 June - the same day as the digital switchover begins at the Blackhill transmitter. The channel, which has been on air for more than two years, was originally only available on satellite. However it became available on cable last week. The move will impact on Freeview coverage of BBC radio channels. Due to a lack of bandwidth, many of the corporation's radio stations will go off air when BBC Alba is broadcasting - but not 1 Extra, 5 Live and 6 Music. A marketing campaign is being launched to highlight the increased availability of the channel, which is a joint venture between the BBC and the Gaelic media service MG Alba. Alasdair Morrison, chairman of MG Alba, said: "Launching BBC Alba on both the Freeview and cable platforms is a true landmark for Gaelic broadcasting. "We have been immensely proud of the channel's achievements to date, appealing to both Gaelic and non-Gaelic speakers, and the BBC Trust's decision to make it available on Freeview is a testament of its success. "Being positioned so prominently on the Freeview listings reflects the channel's contribution and is now a one button step for viewers to enjoy our programming." Ken MacQuarrie, director BBC Scotland added: "We know that viewers who already tune into BBC Alba really appreciate the variety and quality of the programmes it offers. "Making it available on Freeview and cable now means that audiences throughout the whole of Scotland will be able to enjoy these programmes in addition to those already watching on satellite." First Minister Alex Salmond said increasing access to BBC Alba supported the Scottish government's ongoing work to build a sustainable future for Gaelic.